An above average second baseman for the Senators, Harris was a natural leader who had his greatest success as manager. 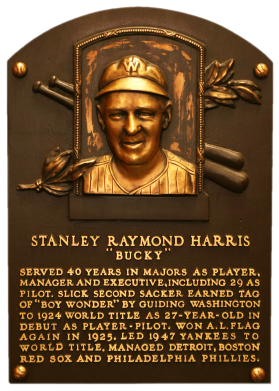 In his first season as player-manager in 1924, he led the Senators to their only world championship. He went on to manage another 28 seasons with five other clubs, going 2,157-2,218. Harris usually had little talent but was a respected strategist who drove his players to play their best. Comments: I picked up a 1936 Goudey issue to kick off this run, a PSA 5 and later a PSA 8 in 2003. 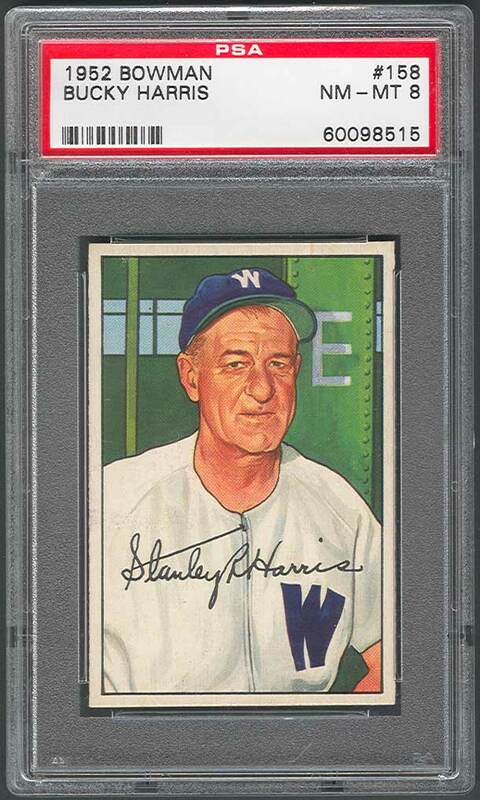 I really liked the 1935 Diamond Stars issue and switched to it with the purchase of a PSA 5 on eBay in December, 2005. A couple years later when trying to maximize the number of type cards represented in the collection, I decided to swap it out. 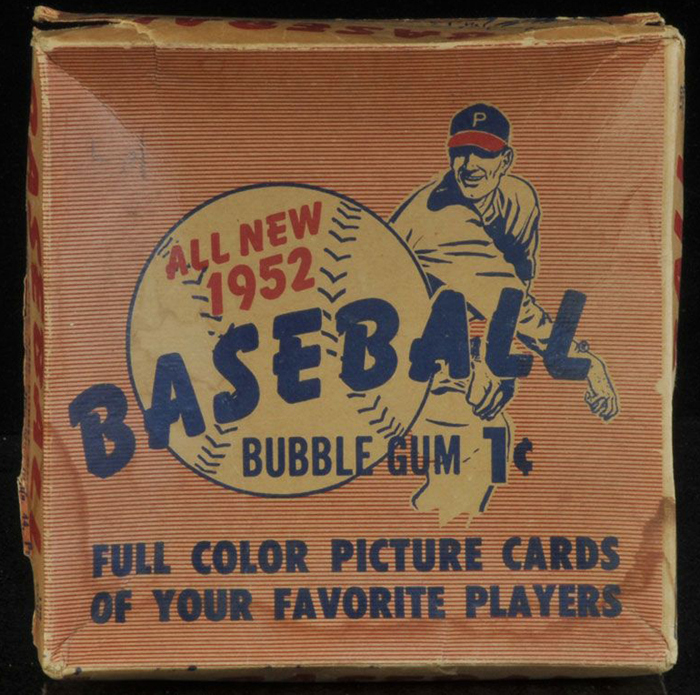 I already had a Chick Hafey in the Diamond Stars and didn't have a 1952 Bowman example. 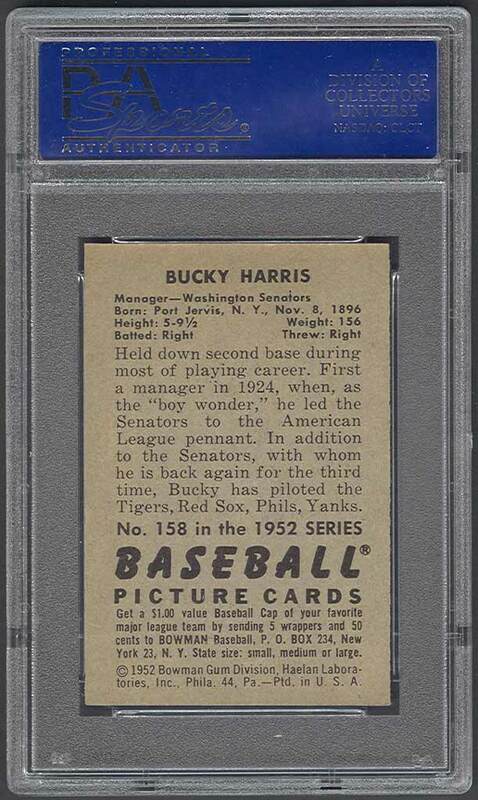 So, I spotted this PSA 8 on eBay in May, 2007 and ended up winning the auction. 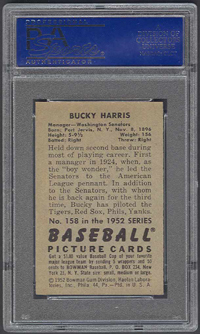 Description: Bowman reverted back to a 252-card set in 1952, but retained the card size (2-1/16" X 3-1/8") employed the previous year. The cards, which are color art reproductions of actual photographs, feature a facsimile autograph on the fronts.